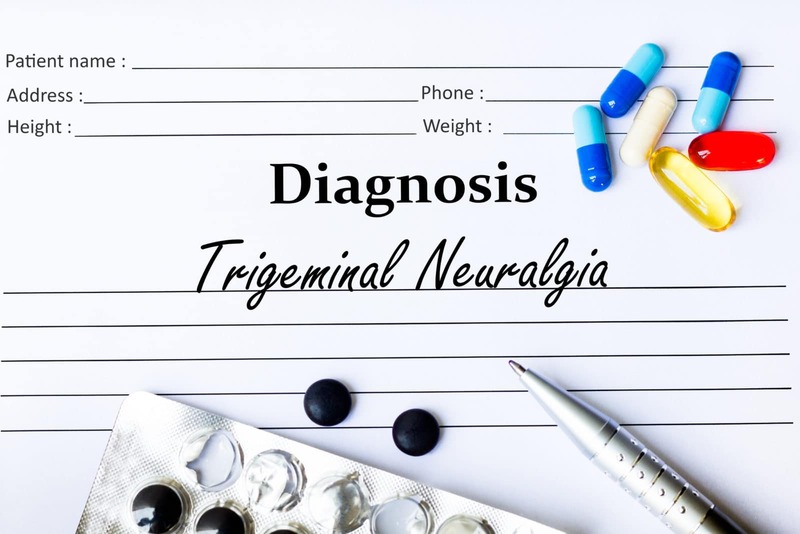 Home Nervous System What is Trigeminal Neuralgia? Trigeminal neuralgia (TN), also known as the suicide disease, is an excruciating type of facial pain brought on by irritation of a nerve in the brain that has three arms, each of which supplies sensation to different parts of the face, including the teeth, gums, lips, jaw, cheek and nose, explains John Delfino, D.M.D., a clinical professor of anesthesiology at New York University School of Medicine, in Manhattan. People with TN may go into remission for several months, or even years, for no known reason, and then the TN recurs, often with a vengeance. The condition triggers a severe, sharp pain that feels like an electric shock in an area of the face, such as the cheek or lips (though over time the pain can progress to other parts of the face, says Delfino). An attack typically lasts for a few seconds, and they can become more frequent and intense over time. Some sufferers also experience a temporary burning sensation along the pain’s path after a flare-up. In 95 percent of cases, the pain only occurs on one side of the face, Delfino adds. TN happens when a blood vessel rubs against the trigeminal nerve as it exits the back of the brain. That friction damages the protective layer of the nerve, which begins to fire haphazardly much like an exposed wire causing intense pain in the areas of the face supplied by that nerve. Simply touching any of these trigger areas, as well as everyday activities, such as brushing your teeth, chewing, talking and blowing your nose, can set off the pain. The excruciating feeling can come from out of the blue or be triggered by MS, physical damage to the nerve or a tumor pressing on the nerve. A doctor will take a thorough history and perform a physical exam of the areas of the face where you feel pain. Comprehensive magnetic resonance imaging (MRI) of the brain can look for an artery that’s close to the trigeminal nerve. That gives you the tip-off you need for a diagnosis, says Delfino. Which doesn’t mean TN is always simple to diagnose, he adds. So many other issues can cause facial pain that one has to be very careful. Medications are likely to be your first line of defense: Prescription anticonvulsants, such as Trileptal (oxcarbazepine) and Neurontin (gabapentin), tranquilize the nerve so it doesn’t keep firing. These medications are taken to the point where patients no longer have pain [including breakthrough pain] and then we taper down the drug, Delfino notes. If you go into remission you’ll be taken off the drug and closely monitored by your neurologist. If drugs do not help, more invasive options are typically recommended, such as microvascular decompression, a type of brain surgery to access the back of the brain and add cushioning between any artery in contact with the trigeminal nerve. The surgeon inserts a small pad of Teflon or fat between the blood vessel and the nerve it is irritating, explains Delfino. Upwards of 75 percent of patients who have the surgery are without pain [afterward]. Risks of the procedure include hearing loss and nerve injury. Another effective treatment is radiofrequency ablation, which uses heat to damage the nerve, preventing pain signals from being transmitted. Rachel Grumman writes about health and beauty. Her work has been featured in Yahoo Beauty + Style, Yahoo Health, Yahoo Parenting, Women's Health, Self.com, Prevention.com, YouBeauty.com, Cosmopolitan, Health, Everyday Health and many more publications. She's been a regular contributor to The New York Times (health advertorials) for more than 10 years.